Not official, this is a bootleg - this title has never officially been released on CD. This is NOT the Great Lost Kinks album that I had back in the 70's or '80's. The one I had had the same cover, but it was a double album, and contained a lot of tracks that are missing on here. Like Autumn Almanac, Dead End Street, and maybe 10 more. Just the two I have listed would be a significant loss to such a collection. 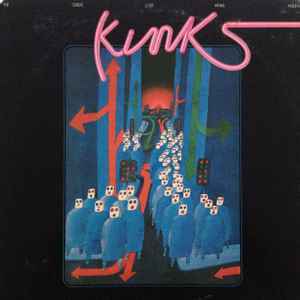 Obviously there is another version of this album out there somewhere, and it would be worth significantly more than those listed on here: there is more to the Great Lost Kinks Album than meets the eye here.